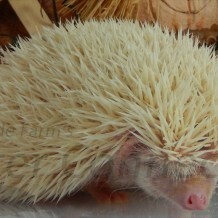 When you first pick up your hedgehog, it may have its spines erect, and it may make some defensive noises. 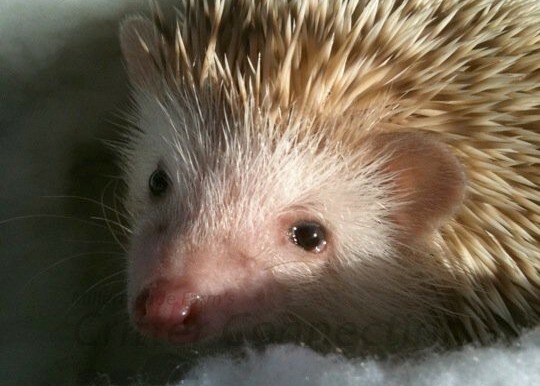 It is a sign that your hedgehog is feeling threatened and scared, nervous, or possibly unhappy. When a hedgehog huffs and puffs, it is trying to intimidate whatever is making it feel defensive. Hedgehogs are usually shy when introduced to something new. They are often born like scared cats and need to learn that they are safe. So, it is quite natural for ahedgehog to be scared or nervous; its huffing and puffing noises are an attempt to scare you away. Hedgehogs still have many of their wild instincts—including a fear of potential predators (and this includes humans!) because their defenses and eyesight are limited. Until your hedgehog knows who you are and that you have good intentions, it is simply trying to communicate its uncertainty about you. When you take your hedgehog from its home and move it to a new environment, it must relearn that it is safe in the new surroundings. Keep in mind that your hedgehog may have just woken up, and it may be uncertain of its surroundings. Daytime for you is actually the middle of the night for your hedgehog. Once your hedgehog has its proverbial “cup of coffee” and gets the “sleepiness” out of its eyes, it is likely to be eager to play and explore. Listen to your hedgehog’s “language” and watch the way you handle it to see what its shy about. Picking up your hedgehog properly is the first step in minimizing huffing, puffing, and popping. 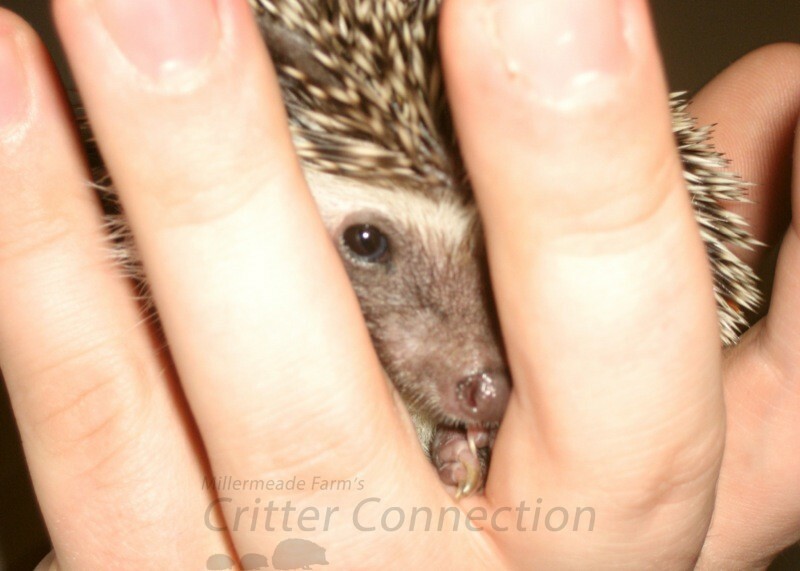 Breeders don’t encourage glove use, but if you need gloves to pick up your hedgehog with confidence, it is better to use them than to make both of you more nervous. Once you have your hedgehog out of its cage, the best thing to do is nothing! Simply hold your hedgehog in your hands, away from your body (explore mode), and wait. 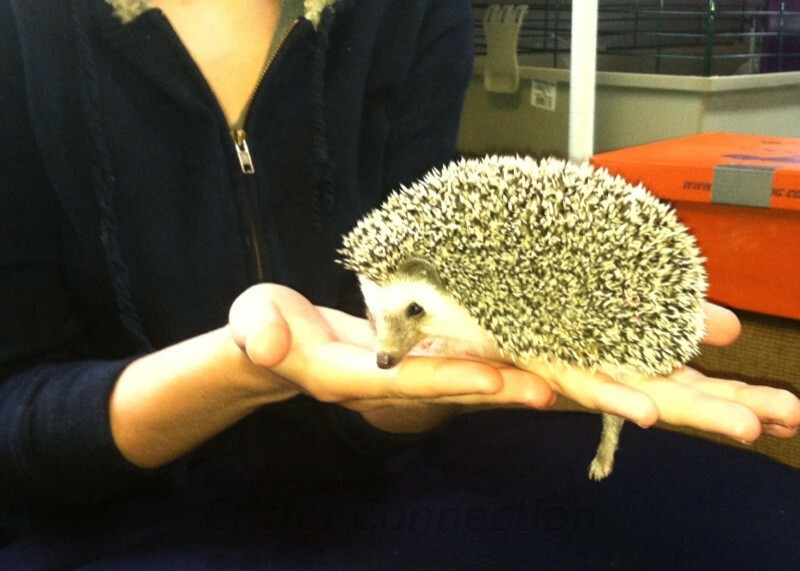 Don’t attempt to pet your hedgehog, rather allow it to come out of its ball and begin to explore on its own. Once your hedgehog relaxes, it will begin to lay down its spines and move around on your hands. When you hold your hedgehog near your body, it will sense your clothing and it may try to burrow into your clothes. Your hedgehog is more likely to lay down its spines when it is close to your body. 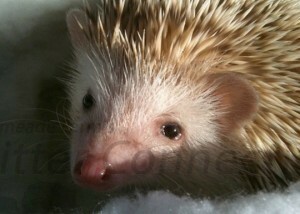 DO NOT provoke your hedgehog to huff or hiss by touching its spines while it is in its cage or on the floor. This encourages the hedgehog to react this way every time a human hand comes near it. Always pet your hedgehog while it is in your hand. Never reach into the cage to pet your hedgehog unless your hedgehog is completely comfortable with you.